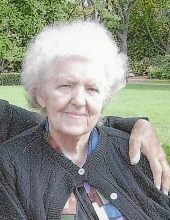 Edna M. Krupa, age 101, a resident of Naperville, IL, former longtime resident of Chicago and Calumet City, IL, passed away on April 4, 2019 at St. Patrick’s Residence in Naperville. She was born on December 21, 1917 in Chicago, IL. Edna is survived by her nieces and nephews Ricardo (Diane) Krupa, Judith (Jack) Althoff, Kenneth Krupa, and Denise Krupa; many great nieces and nephews. She is preceded in death by her parents Angela and Joseph Krupa; siblings Eleanor Krupa, Edward Krupa, Frank Krupa, Alice Krupa, and Florence Balcerak. Edna was a longtime employee and retiree of RR Donnelly. She then spent several years living in Calumet City with her sister Alice where they gave back to the community doing volunteer work for various organizations. She will be fondly remembered and deeply missed. Family and friends to gather Wednesday, April 10 for 9:00 AM Visitation until time of Mass of Christian Burial 10:00 AM at St. Patrick’s Residence 1400 Brookdale Rd. Naperville, IL 60563. Interment will follow at Holy Cross Cemetery, Calumet City. For those wishing to leave a lasting tribute to Edna’s memory, donations to Misericordia Heart of Mercy Attn: Sister Rosemary Connelly at 6300 North Ridge Avenue Chicago, IL 60660 would be appreciated. To send flowers or a remembrance gift to the family of Edna M. Krupa, please visit our Tribute Store. "Email Address" would like to share the life celebration of Edna M. Krupa. Click on the "link" to go to share a favorite memory or leave a condolence message for the family.